This is such a cute set, “A Mother’s Flair” (pg. 46 – Occasions catalog). Mother’s Day is less than a month away, May 13, 2018. It will be here before you know it! Now that so many use electronic readers, are bookmarks still around? I remember being on a SU cruise a few years back. I had recently purchased my Nook for reading. I was sitting next to another lady on deck who was reading a paperback book. We were comparing the pros and cons of both. All of a sudden my Nook shut off, because it was too hot outside. She smiled at me and kept on reading her book. Sometimes the latest, isn’t always the greatest! It is a very whimsical set! If you get up this morning and have nothing to do, come on by to Stamp Class. It is held out of my home, from 10 am to Noon. Lots of fun projects planned (including the marbling technique). 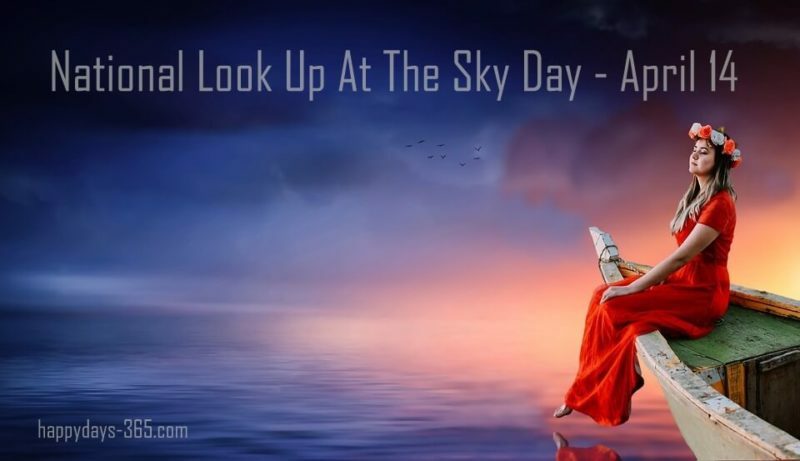 National Look Up At The Sky Day is observed on April 14 of every year. National Look Up At The Sky Day encourages everyone to spend the time to look up at that beautiful sky which we should have probably done when we were kids. In the daytime, you may find some airplanes, various patterns of the clouds, the flock of birds flying around, the shining sun and during the night you can spot some dazzling stars and moon. I’m afraid today we might need goggles to keep the rain out of our eyes. Happy weekend! 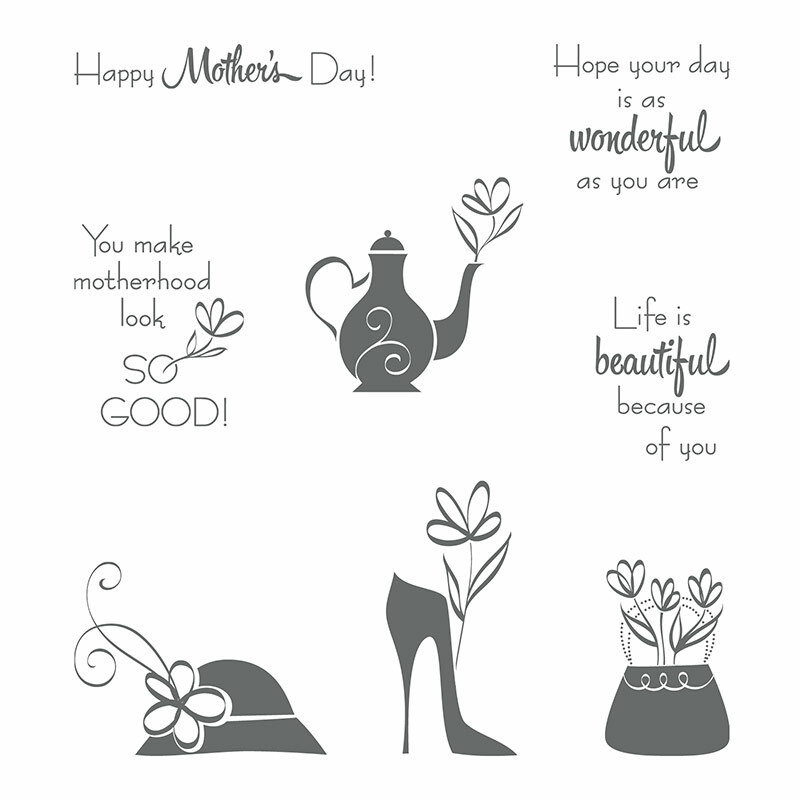 18 Responses to "#318 – A Mother’s Flair – April 14, 2018"
Such a pretty Mother’s Day set! I will be blowing in to see you later this morning! I may be bringing a canoe! Well you didn’t have to bring a canoe, but your own light source. 🙂 Glad the electricity came back on in time. Cute stamp set. I love the shoe. I prefer a real book in my hand so yes, I still use a bookmark and yes, it’s going to be hard to see much in the sky today other than rain and ice which is arriving any minute. They are warning travel will be impossible with many power outages. Good day to stamp!!! The sky mesmerizes me, as many of your samples you showed Wednesday night. Thanks for recording so I could catch up on it later, I sure appreciate that Janice & Paul. Lovely set. Love the coffee pot. Hope the weather doesn’t get to bad. My great nephew is making his 1st Communion today. This was not the best day to be looking up at the sky. Rain, hail and lots of wind. Good day to stay inside! Very nice set. I would love to stop by but doing laundry for the last time this season in TX. Loading the an tomorrow and leaving here on Monday, will be ho.e the end of the month so hope it warms up some. 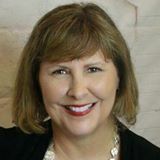 Looking forward to seeing you at one of your up coming classes. Wintery weather this weekend. Hopefully, that will be out of the way by the time you get home. 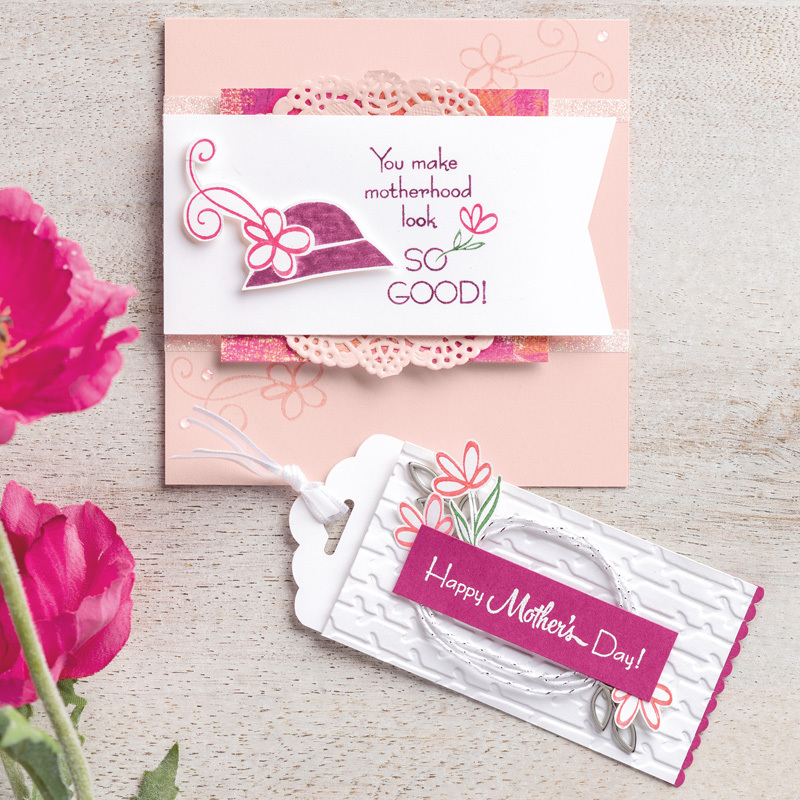 It is hard to believe that Mother’s Day is so close! I need to get going! I like paperback and hardcover books. It is easy to remember to bring them and you don’t have to remember to charge them! These cards are cute, and I also like the shoe, and love that hat! I also like having a book in hand, but thank goodness for Kindle, especially when I was having to travel to see my family. It is good you treasure your memories of your mother. They are very special!!! Hugs! Ugh…you’ve done to me what my class members say I always do to them…you’ve made a super cute card, and now I just HAVE to have that set!